Should the Olympics be free to watch? Olympic fans in Australia, Britain or Canada can watch the games live, on free-to-air television, but that isn't the case in New Zealand. Should it be? Sky Television is the rights holder in this country - and, while it has a free-to-air channel in Prime, it has no obligation to play anything, at any time. That means some Olympic events are delayed, or not played at all. On the streets of Auckland, people universally agreed the Olympics should be broadcast live, on free-to-air television. "Definitely! Because especially at work, we want to watch it but we can't!" said one woman. "The lady I work with, her nephew is in the swimming or something but she can't watch it," she added. "Poor thing!" 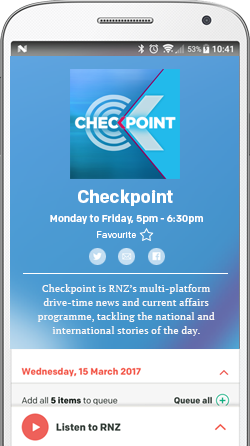 Everyone spoken to by Checkpoint with John Campbell thought the events should be broadcast for free. But as the woman above demonstrated with her inability to watch the swimming, it was not. Some events were only available if you were willing to pay for a Sky subscription which, with the sports channels, was about $80 a month. New Zealand First MP Clayton Mitchell said Canada, Australia, and the United Kingdom all had laws in place to ensure people could watch the games for free. He said Sky was fulfilling a moral obligation by offering some viewing on its free channel, Prime, but it was far from ideal. "Generally, quite considerably delayed and with advertising, and look, good on them for having that moral obligation," he said. "What we're saying is we need to have a legal obligation to ensure that... games of national significance, like the games we've been watching today, are broadcast free-to-air, because taxpayers are paying for it." Mr Mitchell cited the New Zealand men's sevens game against Kenya, which was played on Prime but two hours late. By that time, he said, most people knew the result. Mr Mitchell has drafted a bill that would mean those "games of national significance" had to be broadcast for free. "Whether we do pop-up channels... We're in a new age now with online streaming live and free. "But as it simply sits on the table today it's about ensuring those games that New Zealanders hold dear to themselves can have full access... without having to pay twice." In short, it was anti-siphoning legislation. 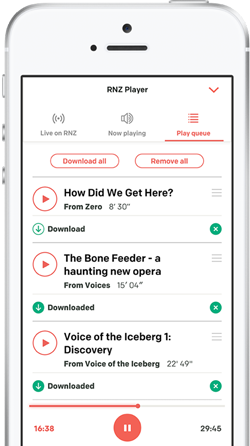 "Basically a no-paywall principle," explained Coalition for Better Broadcasting chair Peter Thompson, who is also a media lecturer at Victoria University in Wellington. "So that certain cultural events have, in the first instance at least, have to be offered to a free provider at a fair price." He pointed to Australia, where that was already in place. This Olympics, Channel 7 had the rights and was streaming 900 hours of footage live, for free, he said. He also had another suggestion. "A single buyer, so if you purchase the rights to the Olympic coverage as a nation, through a cultural provider such as New Zealand On Air, and then you disperse those rights across the media, you could cut out a lot of the arguments about what those rights entail. "There would be a central public provider, and they could provide the rights to all the other media. That way, everybody gets everything." But Mr Thompson conceded giving up exclusive-use was not that attractive to a paid-provider like Sky.